Monitor and reward your brand ambassadors like contractors, loyal customers or Influencers. Through a Win-Win program create an army of brand ambassadors. Do you know that referrals from contractors and other influencers is a huge factor for Sales conversions. Contractors play a big role in influencing the buying decisions of the home owners, builders, etc.,. Using OneLoyalty's solution for Contractor Loyalty, provides an automated system where by each contractor is provided with an unique rewards ID. The contractor can refer to this ID for his referrals or purchases on behalf of his client. Reward points accumulated can be redeemed to get items from the store, gift cards, travel vouchers etc., By tracking the best contractors and influencers, marketing team can provide special incentives like exclusive club membership, trip to exotic locations, dinner voucher to expensive restaurants, etc., By creating a positive cycle of referrals and rewards you can create an army of brand ambassadors that can help in accelerating the sales to the next level. Unlike conventional referral programs that is run manually, a structured automated program powered by OneLoyalty can lower cost and improve focus. An online portal that provides instant information regarding points earned, transactions, etc., Establish constant communication like emails, alerts etc., that can engage your brand ambassadors. Management portal enables the marketing team to generate analytical reports that shows the top contractors, their purchase pattern, program related metrics like sales generated through the program. Reward points can be redeemed through various flexible options like product catalog, discount coupons, exclusive specialty products, vacations etc., Top contractors can be identified through reward points and awarded during product conventions. One Loyalty program helps track contractor buying habits and increases understanding of which products are sales drivers and bring revenue. This allows companies to develop effective sales promotions for products based on market intelligence, determine which contractors to target, and how to best influence additional purchases in the future. Mobile Apps and easy to use portal is an effective tool in the hands of contractors during the referral cycle. In some businesses contractors/influencers exert a huge influence on product purchase decisions that has an exponential impact in driving sales. 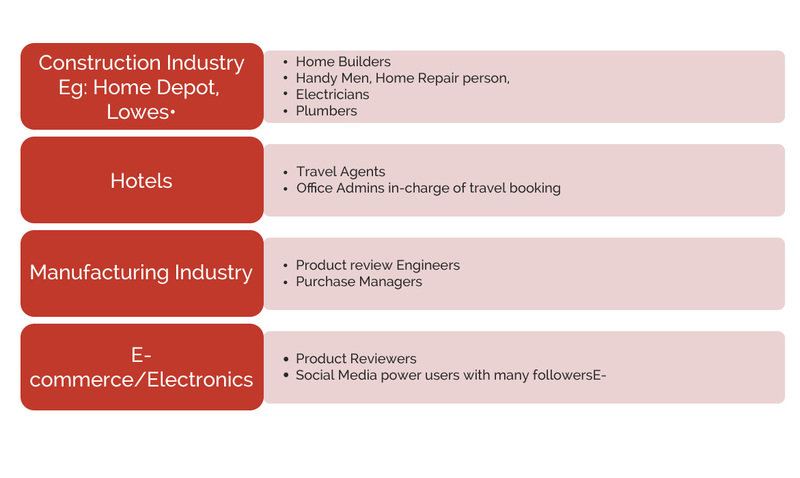 Winning a few highly connected contractors/influencers can result in chain reaction of purchases from their contacts. So if you win these contractors/influencers you can win the market. Loyal contractors/influencers usually have a thorough knowledge of the products and their opinion and influence carries lot more weight any sales literature. With effective rewards program the contractors/influencers are rewarded for their brand loyalty and drawing them away from competition.